Mainly used as weld metal in exothermic welding, Exothermic welding, also known as exothermicbonding, thermite welding (TW), and thermit welding, is a welding process that employs molten metal to permanently join the conductors. The process employs an exothermic reaction of a thermite composition to heat the metal, and requires no external source of heat or current. 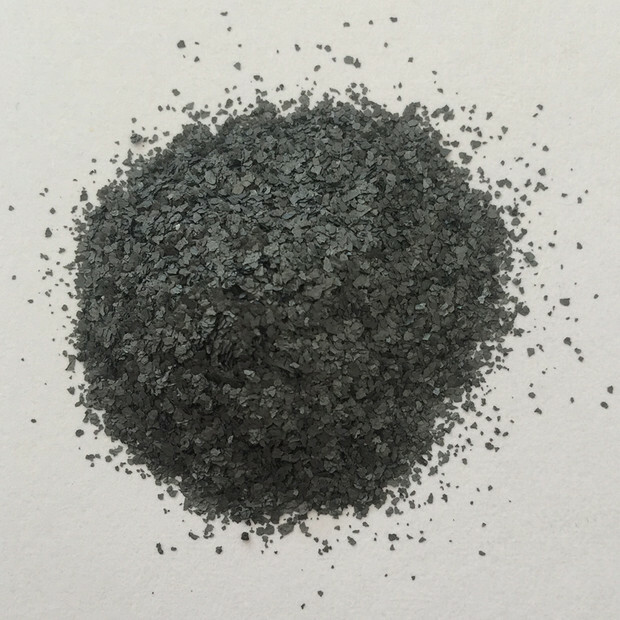 The chemical reaction that produces the heat is an aluminothermic reaction between aluminium powder and a metal oxide. Exothermic welding is usually used for welding copper conductors but is suitable for welding a wide range of metals, including stainless steel, cast iron, common steel, brass, bronze, and Monel. It is especially useful for joining dissimilar metals. 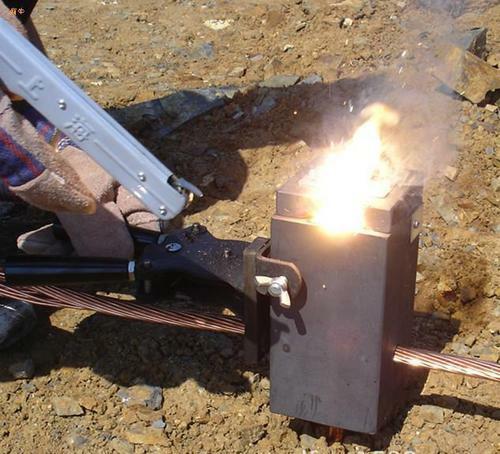 Because of the good electrical conductivity and high stability in the face of short-circuit pulses, exothermic welds are one of the options specified by §250.7 of the United States National Electrical Code for grounding conductors and bonding jumpers. It is the preferred method of bonding, and indeed it is the only acceptable means of bonding copper to galvanized cable. 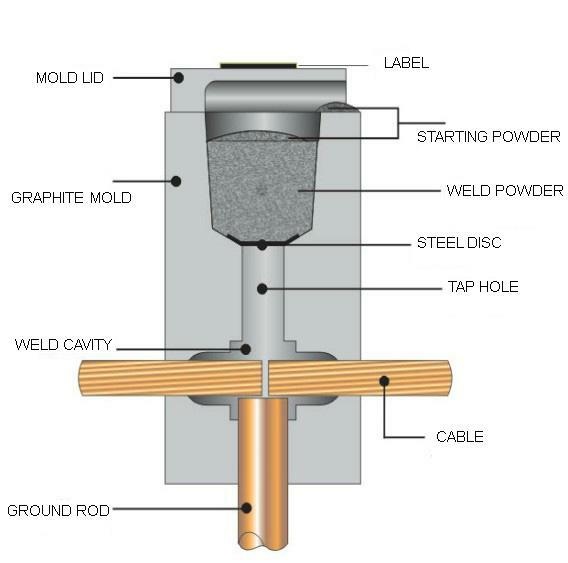 The NEC does not require such exothermically welded connections to be listed or labelled, but some engineering specifications require that completed exothermic welds be examined using X-rayequipment.